The white rose in Dante’s The Divine Comedy (Paradiso Canto XXXI:1-27) is composed of a host of saints circling the Divine Light (God) with angels making a winding descent into the white rose, in essence, becoming part of the white rose (see the illustration titled Paradiso by Gustave Dore). 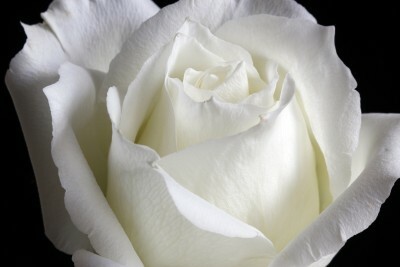 This is what the white rose symbolizes in my free-form haiku. Why are you combining Zen with Christianity, Terry? For two reasons. Firstly, a person practicing any religion can practice Zen as well. Therefore, I have the freedom to talk about Christianity and Zen in the same poem . . . in the same article. Secondly, Jung basically said that Westerners had numerous Christian symbols and motifs in their psyches. Meditation that goes deep into the psyche encounters these images and more. When the fabricated constructs that appear to define who you are dissolve (mind melts), the residue of thoughts falls away—paradoxically, nourishing the imagery-producing center of the psyche (the white rose, the Self). This allows the images buried in the thoughts . . . buried in the emotions to be perceived and explored. As a trader, it’s important to understand your mind (before melting it). Thoughts can fight with other thoughts; thoughts can vie with emotions for dominance. Some thoughts appear to move at the speed of light; some thoughts are sluggish and trod through the mental mud. Be careful which thoughts you befriend. They may mislead you. Be careful which emotions you allow to lodge in your body. Some emotions may cause knotted guts, pounding headaches and burning backaches . . . and more. Practicing Zen meditation may help you slow your thoughts . . . calm your emotions. You need an ally to guide you through the turbulent waters of your mind . . . and body. Photo Credit: Photo by Chen Chenpei.